theZoomer: Television For Boomers With Zip! Serving Up Vegan-Style Comfort Food - theZoomer: Television For Boomers With Zip! As much as many of us recognize the nutritional value of a vegan diet, it is one of those dining regimens that can fall victim to well-spread stereotypes. For one, people from the outside looking in can consider veganism a boring lifestyle choice in which the fun is taken out of eating. However, as we have come to learn, veganism isn’t all about big bowls of quinoa, or a colossal bed of kale mixed into your garden salad. In fact, veganism can also be incorporated in a comfort food format: like a burger. 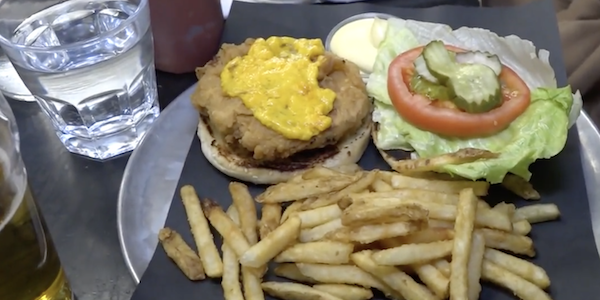 One place that showcases such an option is Doomie’s, a Toronto-based vegan eatery that features the Big D, a vegan-style Big Mac. Instead of meaty patties, those on the Big D are primarily soy- and wheat-based, and include vegetable proteins. 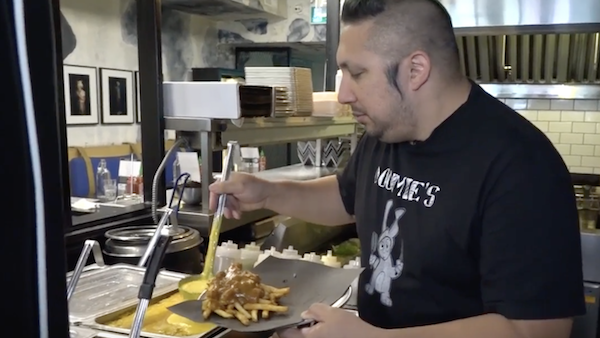 To learn more about Doomie’s and to see vegan-style comfort food come to life, check out this ZNews report by Darrin Maharaj. On a recent episode of “theZoomer,” host Libby Znaimer was joined by chefs, a food writer, organic food experts and a dietitian, to show us how to cook healthy and nutritious meals. You can watch this episode below.